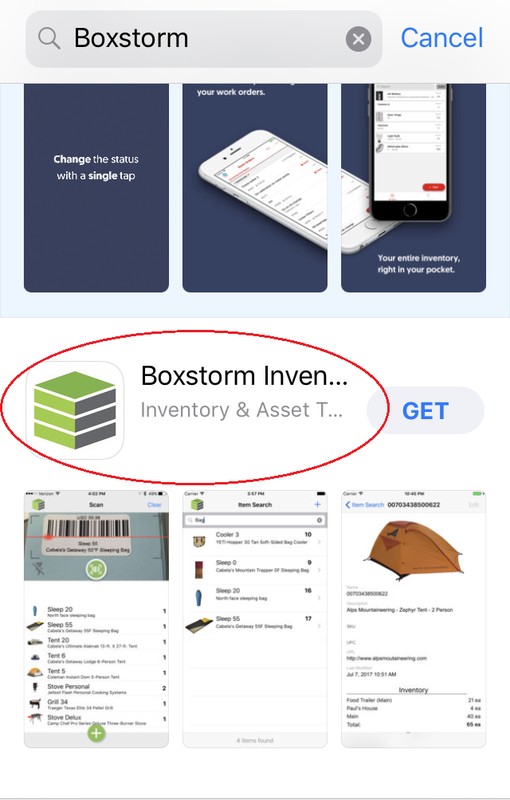 Boxstorm Mobile provides the convenience of inventory management anytime, anywhere and may be installed on both ios and Android devices. 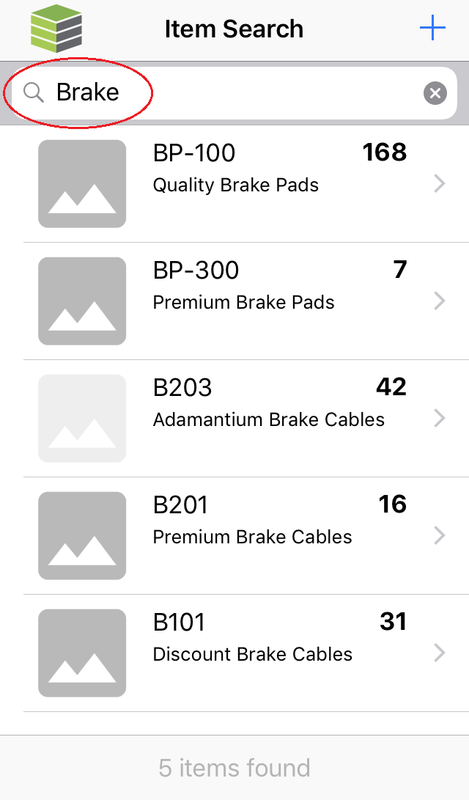 Boxstorm Mobile has Dashboard, Items, and Scan modules for its basic functionality. 1. 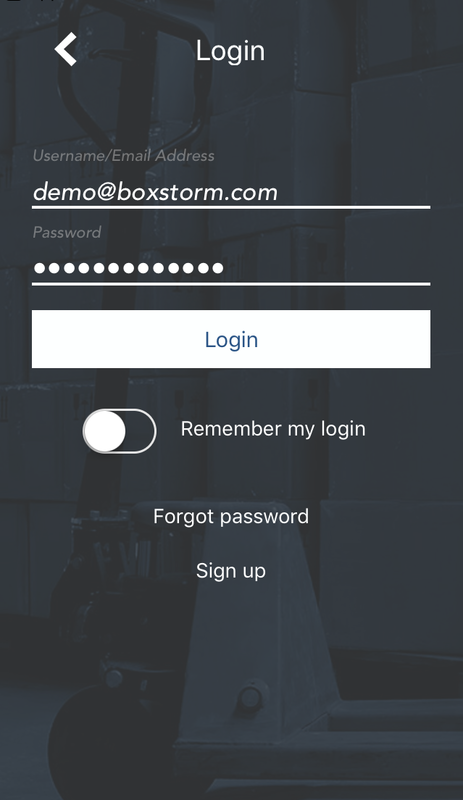 Find Boxstorm Mobile by first browsing for and installing the app on your mobile device. Based on the mobile’s settings, permission may or may not be required for the install. 1. The Dashboard will be the first screen that is shown (depending on rights given for the user). The Dashboard will instantly show the items that are needing to be Reordered (by location), the Open Sales Orders (with status of Accepted, Partial, or Quote) and the Open Purchase Orders (with status of Open or Partial). Please note that the Dashboard module is informational only. 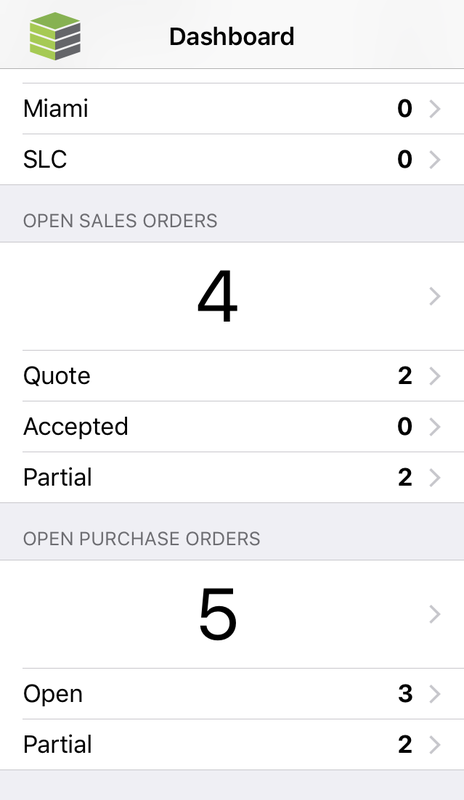 Purchase Orders and Sales Orders can not be fulfilled through Mobile. 1 The Items module provides a list of all items in the Boxstorm database and their quantities. (even if that quantity is 0). They are listed alphabetically. 1. Items may be created by clicking the New Item icon in the top right corner of the Items Module. 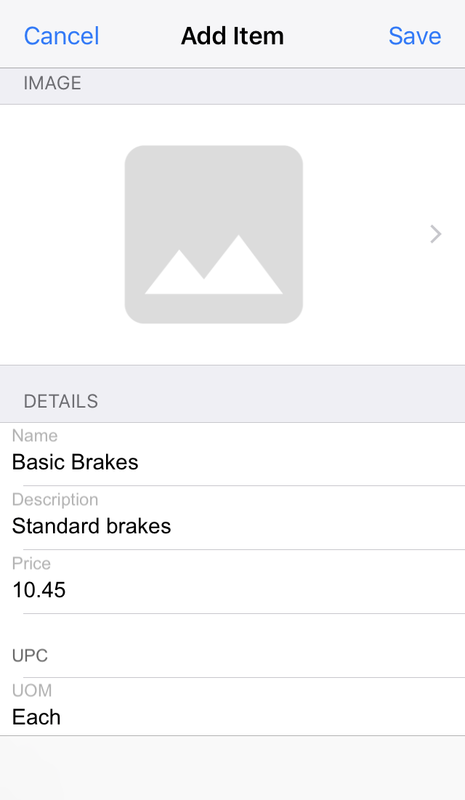 An “Add Item” screen is displayed. Enter the information for the item (Name, Description, Price, UPC, UOM, URL, Tags, Notes) and add an image if desired. Click Save to finish. 1. 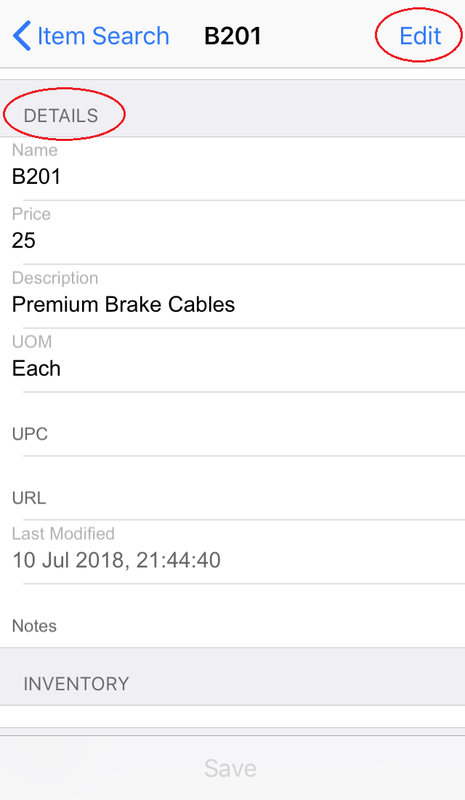 To search for an item enter any part of the item’s name or description into the search field. Choose the desired item from the given list. To view the details of an item, choose one from the item list and click on it. This screen will show all the details regarding the item. Click Edit in the top right corner to modify any of the information shown. 1. 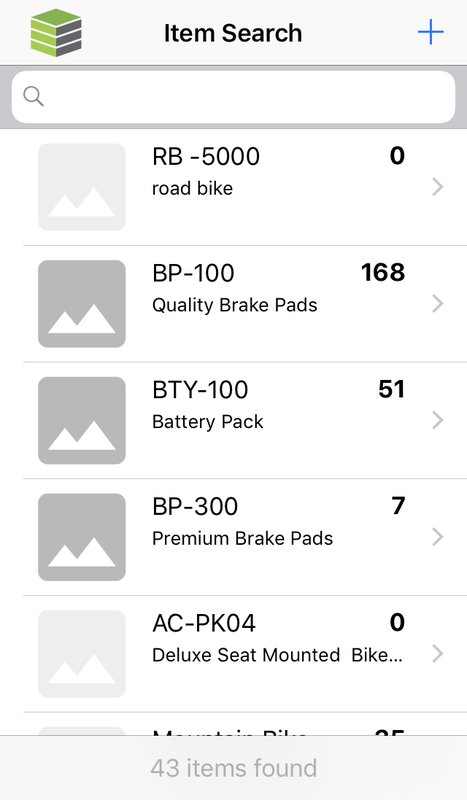 To adjust (or cycle count) inventory, Add Inventory: Click add inventory icon, click Destination or Items to change each. Click Save. 2. 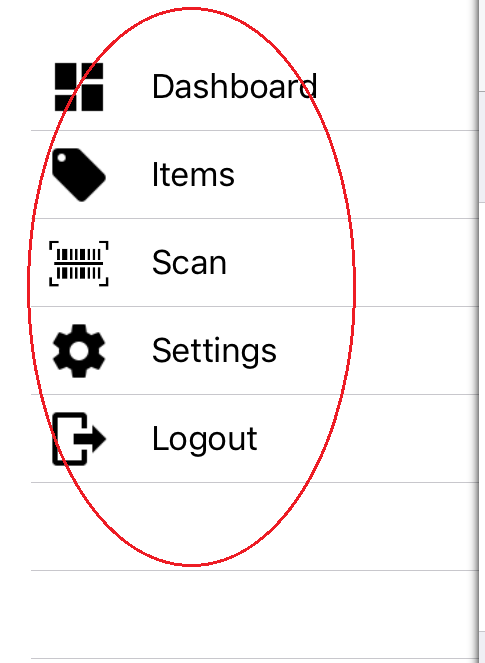 Scan Item: search for item entering exact item name, or by scanning using barcode scanner. 3. Quick Adjust of inventory: click line item name of scanned/searched for part and add inventory using the + – icons. Click Save to save change. Inventory added here is a cycle count, of TOTAL inventory in stock as the number shown. (not added to, but replaced).